Being a flipper is not all it is cracked up to be. There is a lot of room for error, that cannot be made or all of someone’s money is essentially lost. Before getting into the business there are some things a person should ask themselves or look into. Read on for some insight into deciding if it is the right decision or not. 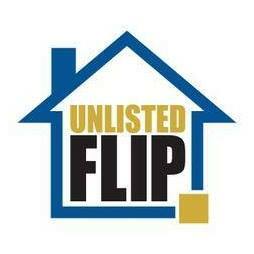 Flipping houses is a full time job on its own, there really is not much room to have a full time gainfully employing job other than flipping houses. That being said, if someone is going to really take this serious there really is not a lot of time for anything else either. Projects have to be on a schedule, and things have to be done according to schedule if a person wants to make a profit from flipping. So really there is nothing but flip. Meaning an individual would have to devote most of their free time to coming up with solutions that have been run into during the normal schedule, thus not leaving any free time. If that person is doing it with his/her family or friends it should not be a problem. If they are doing it without family or friends, they could have relationship problems that lead to even bigger problems in the future. Before deciding that this is the right profession, it would be a wise decision to make sure an individual has certain qualities that would make it easier. First off a thick skin so to speak, meaning that their feelings do not get hurt easily this is important because without it this industry can lead to a mental break down. Patience is something someone would need as well, for without it nothing will get done right and everything will be rushed. They would also need to have a go with the flow type of personality. That being said they should not be too easy going. So You Think You Can Flip? After reading this, and analyzing one’s self, deciding to go through with becoming a house flipper is a big deal. It will change a person’s life forever, sometimes for the best and others not so much. Still going through with it? Ok then here is the best secret that could really make or break a person in this industry. Surround yourself with people you can trust to do good quality work on your flipping projects. Create a team that always works for you, on every project if possible that way they know what you want and how you like things to be done. This will also work in your favor because having a group continuously working for you; a production rate can be estimated. That means that eventually you will be able to figure out a ballpark idea of when your team will be done with a particular project and ready to start in on the next one.